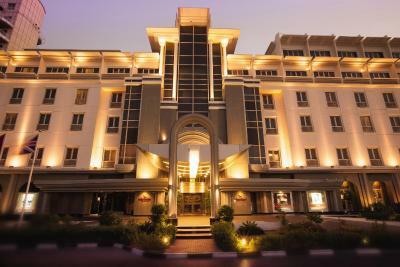 Lock in a great price for Mövenpick Hotel Bur Dubai – rated 8 by recent guests! Roof top pool was awesome. did not use it but sat around it. It was upgraded to Suites. Rooms was very good, clean and stuff are all excellent It was an imazing stay. Its an old hotel and many things need some change specially towels and toletry items . 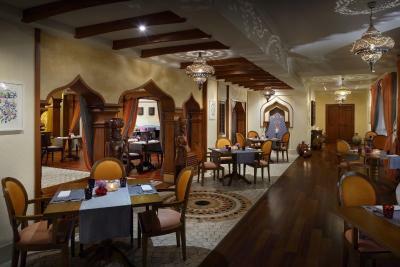 Its a good place if you want to stay in Bur Dubai. The rooms are large and comfortable. 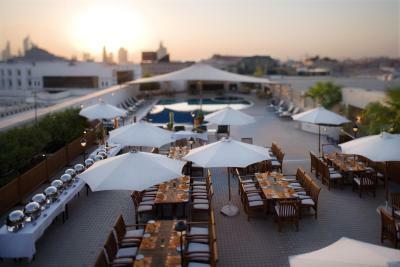 Mövenpick Hotel Bur Dubai This rating is a reflection of how the property compares to the industry standard when it comes to price, facilities and services available. It's based on a self-evaluation by the property. Use this rating to help choose your stay! 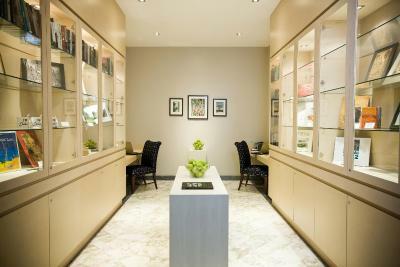 Rooms are elegantly furnished with a seating area and a work desk. The floor-to-ceiling windows allow plenty of daylight to enter each room. A coffeemaker and mini-bar provide are also available. 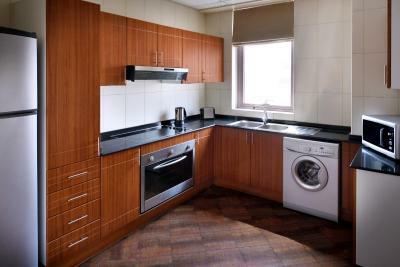 The apartments are fully equipped with Kitchenette complete with a refrigerator and a washing machine. High speed WiFi is available for free. 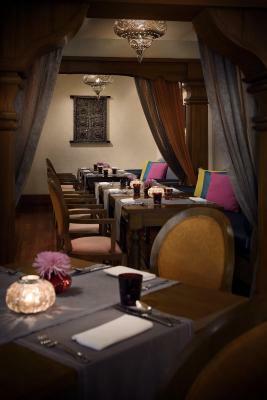 Enjoy unique dining experience from a choice of International, Arabian and Indian cuisine in 7 restaurants and bars. 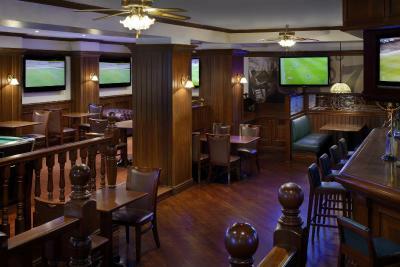 For those seeking entertainment, Pulse nightclub is a popular place to be in Bur Dubai. Free private parking is available. 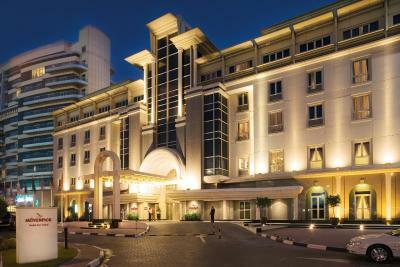 Located opposite the American Hospital, Mövenpick Bur Dubai is just off Sheikh Zayed Road. 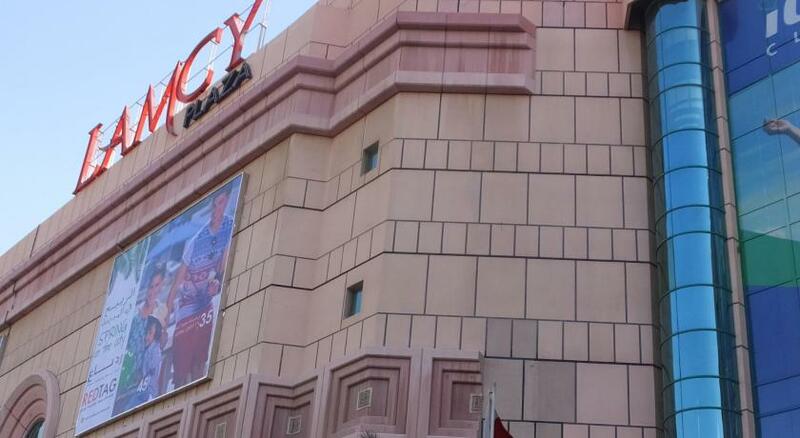 Dubai Healthcare City, Wafi and Lamcy shopping malls can all be reached in 5 minutes. Dubai Mall, Burj Khalifa and World Trade Center are 10 minutes by car. Expo 2020 grounds is 20 mi away. The hotel offers free shuttle to Jumeirah Beach. 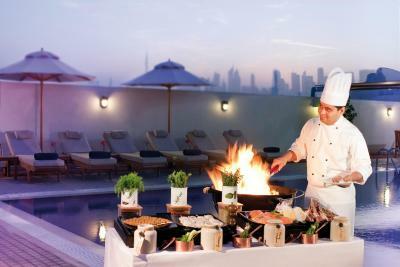 When would you like to stay at Mövenpick Hotel Bur Dubai? The Superior King is a 32 square yard room that features a king size bed, a comfortable seating area, a spacious bathtub, LCD TV, a working desk, plus tea and coffee making facilities. Enjoy free Wi-FI, complimentary access to the pool and the fitness center as well as the steam room. The Executive King Rooms are 32 square yard rooms including a king size bed, a comfortable seating area, a spacious bathtub, LCD TV, a working desk, plus tea and coffee making facilities. 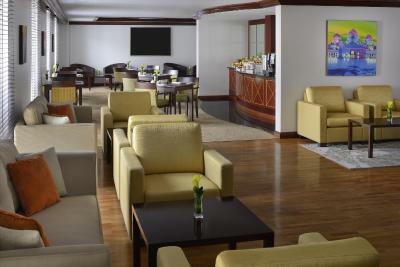 - Executive Lounge access with breakfast, coffee, tea and Alcoholic beverages from 6.00 to 8.00 pm. - Late check-out to 2pm. This air-conditioned apartment features a master bedroom with private bathroom and a guest room. 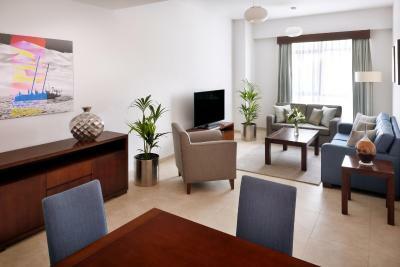 It offers a living-room with flat-screen TV and a DVD player and a balcony with views of Sheikh Zayed Road. Its fully equipped kitchen includes a microwave, a fridge and kitchenware. It has complimentary WiFi. 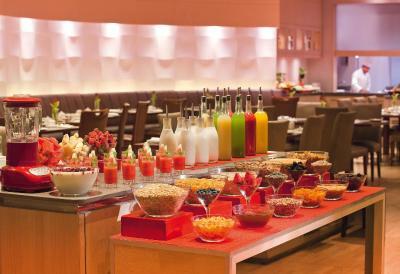 Guests can enjoy a daily breakfast for an added cost. The apartments are a short walking distance from the hotel. This air-conditioned suite features a master bedroom with private bathroom and a separate living room with flat-screen TV, a desk and a minibar. 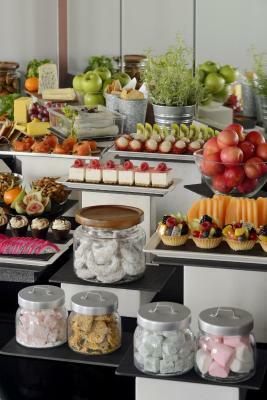 It provides access to Executive lounge and complimentary breakfast. Tea and coffee-making facilities are included. One way transportation from Dubai International Airport is available upon request. This spacious, 1572 ft² suite is on the 4th floor and is decorated in Arabesque style. It features a spa tub and a combination of a bathtub and a shower. It also includes a dining table, small kitchen and free Wi-Fi internet access. This air-conditioned room includes a sitting area with a TV and a minibar. It features a wardrobe, a desk and telephone. The bathroom is fitted with shower, slippers and free toiletries. 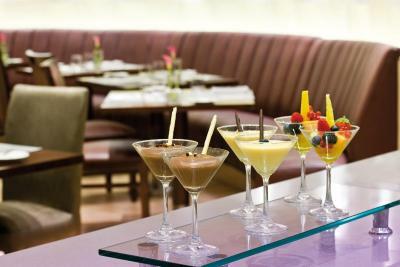 It includes: access to the executive lounge with complimentary breakfast, late check-out (2 pm). 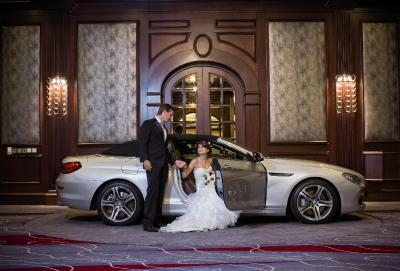 One way transfer from Dubai International Airport is available upon request. This air-conditioned apartment features a living room with sofa, a desk, a flat-screen TV and DVD player and a bedroom with private bathroom with bathtub and shower. 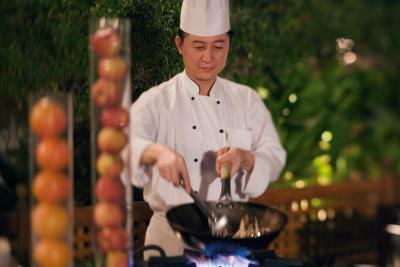 It is furnished with a fully equipped kitchen. It has complimentary WiFi. This air-conditioned apartment features a master bedroom with private bathroom and 2 guest rooms with an extra bathroom. 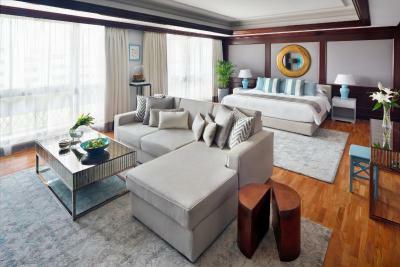 It offers a large living-room with a dining area, a flat-screen TV and a DVD player and a balcony. Its fully equipped kitchen includes a microwave, a fridge, a washing machine and kitchenware. It has complimentary WiFi. The Superior Twin is a 32 square yard room that features two single beds, a comfortable seating area, a spacious bathtub, LCD TV, a working desk, plus tea and coffee making facilities. Executive Twin Rooms are 32 square yard rooms including two single beds, a comfortable seating area, a spacious bathtub, LCD TV, a working desk,and tea and coffee making facilities. Junior Suite is a modern 69 square yard suite featuring a King bed, a bathroom with Jacuzzi, an open plan living room, LCD TV with Bluetooth connectivity and tea and coffee making maker. 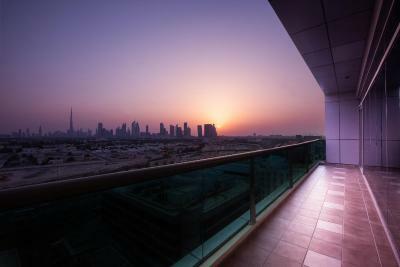 This 2 Bedroom apartment offers amazing views of Burj Khalifa. It features a living room, a fully equipped kitchen, a king-bed, 2 single beds, bathrooms with bathtub and shower, a flat-screen TV and a DVD player as well as a balcony. It has complimentary WiFi. 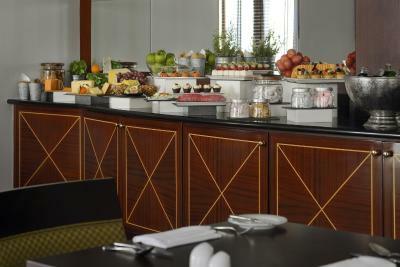 Guests can enjoy a daily breakfast for an added cost. The apartments are a short walking distance from the hotel. The Family Rooms are 40 square yard rooms with a king size bed, a sofa bed, LCD TV, a seating area, safe as well as tea and coffee making facilities. 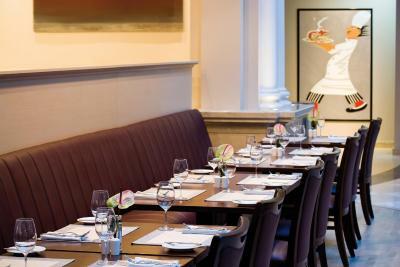 Kids under 6 year eat for free when you stay in the family room. 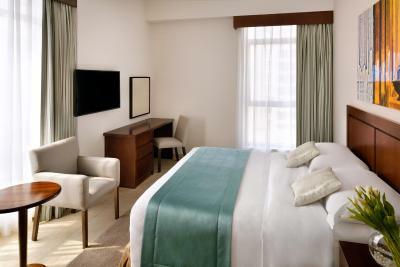 A 5-star Dubai hotel situated close to key commercial areas, shopping malls and attractions in Oud Metha, a central business district in Bur Dubai. 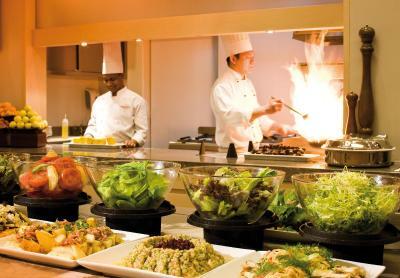 Enjoy everything from North Indian and Lebanese cuisine, to international flavours and poolside refreshments in our seven restaurants and bars, as well as a nightclub. Unwind at the rooftop pool or fitness centre, enjoy a treatment at the salon or simply marvel at the art showcased around the hotel. 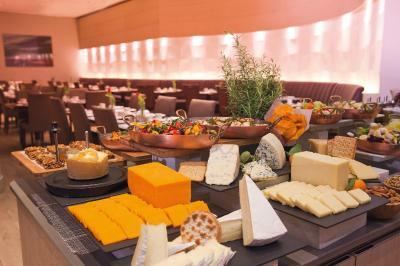 House Rules Mövenpick Hotel Bur Dubai takes special requests – add in the next step! 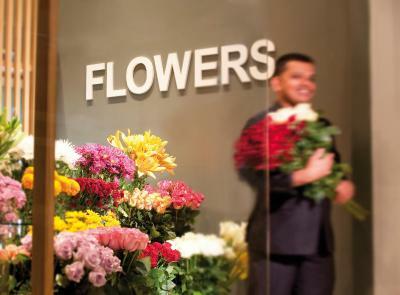 Mövenpick Hotel Bur Dubai accepts these cards and reserves the right to temporarily hold an amount prior to arrival. 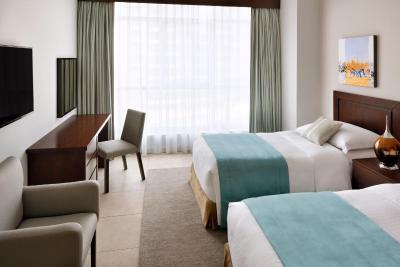 Please note that there is a Tourism Dirham fee of AED 20 per bedroom per night that will be charged by the property. The whole hotel accessible for wheelchairs. There are 2 rooms available for guests with special needs with specially designed bathrooms. A maximum of 3 people can stay in these rooms. Please note that the apartments are located next to the hotel. Please be informed that Mövenpick Hotel & Apartments Bur Dubai will upgrade all rooms and suites with modern décor and stylish furniture. This project will start from 1st of May 2019 and will endeavor to finish by 7th of September 2019. 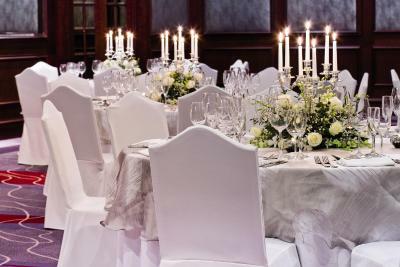 During this process, selected hotel rooms & apartments and its facilities, including the restaurants, will remain open to in-house guests and visitors. The staff member who checked me in seemed quite bored and dismissive. The shower flooded the entire bathroom, I asked for replacement towels and a bathmat - they were brought up, but the old ones were left soaking wet in a heap. I have stayed here before and the room this time just didn't seem as clean or well looked after as previous stays. The location is great, the beds are super comfy and some of the staff were fantastic. The fact that I had to leave. Good , clean beds, all accessories were satisfactory. Staff was cordial and helpful. The wait time till i got the room. Well we waited for our hotel shuttle for a little over an hour. 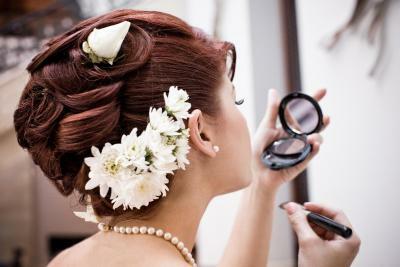 It was rectified upon arriving at the hotel immediately and compensation was granted. 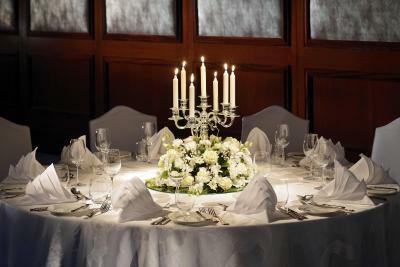 Rooms were clean, staff was attentive and everyone was very professional. Well was not impressed with my room at all... No natural light. Room was very dark. Expected a bit more for a movenpick hotel seeing that it's a 5 star hotel.